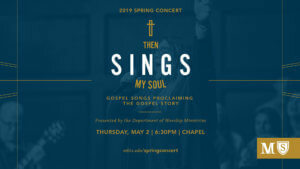 This annual spring concert on behalf of the Dept of Worship Ministries provides a peak into it's philosophy of ministry--Gospel Centered & Musically Diverse. This particular concert will feature "Gospel Style" singing w/ high energy along with an "Easter" focus (which occurs the week following) and includes performances from the school's very own Voices of Midwestern along with other soloists and performing groups made of students representing a variety of majors. 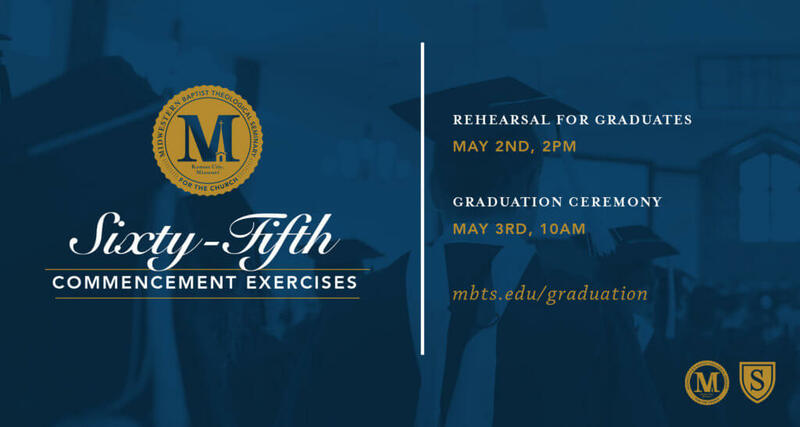 Join us for the 65th Commencement Exercises in the Chapel on May 3rd. The ceremony will begin at 10am. Come support your family, friends or fellow students as they embark on an exciting new season! Graduates will need to be here by 9:15am and will meet in the Chapel Banquet Hall. Rehearsal will take place on Thursday, May 2nd at 2pm. On the day of the event, you can view the livestream via Facebook or at www.mbts.edu/live. The Fusion Commitment Ceremony is the last rite of passage in the Fusion Process. Fusion candidates, interns and advocates will be celebrated for their work abroad and exhorted to commit to a lifetime of making disciples. They will receive a token to mark this occasion - a Bible. The Fusion Commitment Ceremony is the last rite of passage in the Fusion Process. Fusion candidates, interns and advocates will be celebrated for their work abroad and exhorted to commit to a lifetime of making disciples. They will receive a token to mark this occasion - a Bible. 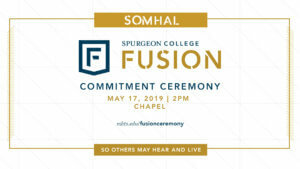 Please join us at 10 am in the Chapel in support of our Fusion teams who have spent a semester serving the Lord overseas.